With whitewashed courtyards, colorful cobblestone alleys, historic monuments and a fascinating melting pot of Muslim, Christian and Jewish culture, Cordoba is bound to enchant. On this easy day trip from Seville, let an expert guide show you the highlights of this beautiful Andalusian city, crowned by the UNESCO World Heritage–listed city center (the second-largest old town in Europe). Stand in awe of the Mezquita and the Alcázar, visit one Spain’s few existing synagogues, explore the medieval streets of the Jewish quarter and take a snapshot of iconic Calleja de las Flores. 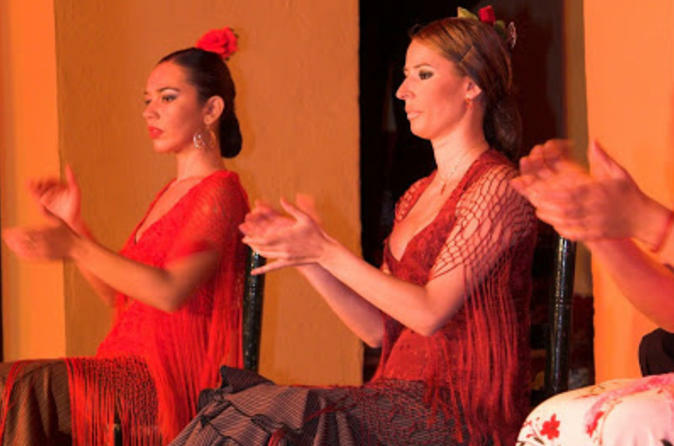 Experience authentic Andalusian flamenco at the esteemed Tablao Flamenco El Arenal in Seville. Often considered one of the best flamenco bars in the world, Tablao El Arenal hosts a 1.5-hour show where up to 15 of Seville’s best dancers perform a flamboyant flamenco. Sit down to watch the electrifying performance with drinks and either tapas or a 3-course dinner -- the choice is yours! 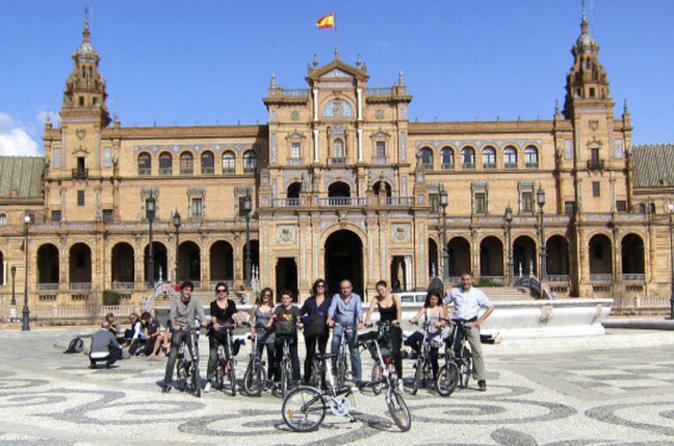 See Seville with little effort and lots of fun on this 2.5-hour electric bike tour, led by an expert local guide. Easy and safe to ride, the bikes have electric motors that start as soon as you pedal, meaning you’ll see all the city sights without getting out of breath! Pass through neighborhoods like Triana, watching out for top Seville attractions like Plaza de España, Isabel II Bridge -- commonly known as Triana Bridge -- Seville Cathedral and Royal Alcazar Palace (Reales Alcázares). Numbers are limited to eight on this small-group tour, ensuring you’ll see the best of Seville with personalized attention from your guide. See Seville’s history and culture come to life on a 3-hour tour led by a local guide! 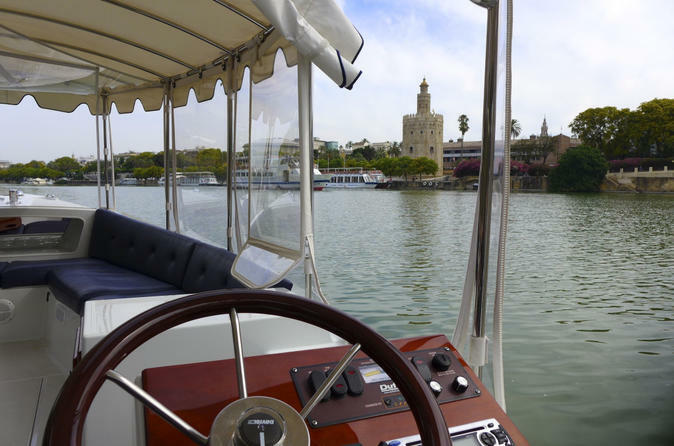 Combine a walking tour through the city center with a relaxing cruise by electric boat along the Guadalquivir River. Discover top city attractions such as the Golden Tower and Church of El Salvador, and hear tales of Seville’s famous ex-citizen: Sir Christopher Columbus. Numbers are limited to ten on this small-group tour, ensuring you’ll see the best of Seville with personalized attention from a guide. 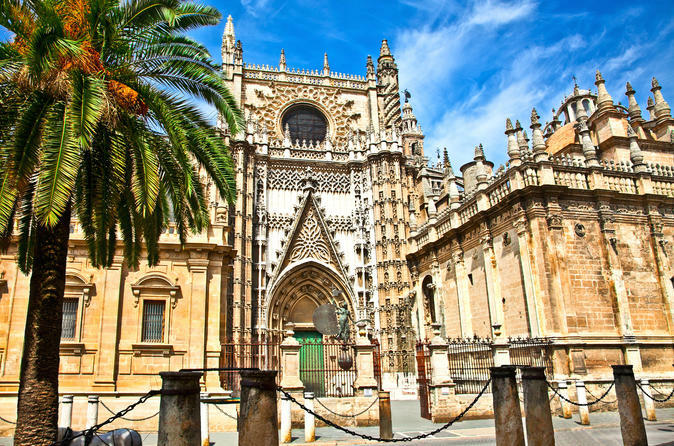 Discover Seville’s most spectacular monuments — Seville Cathedral, the Giralda tower and the Royal Alcazar — on this intimate 3-hour walking tour with a private guide. 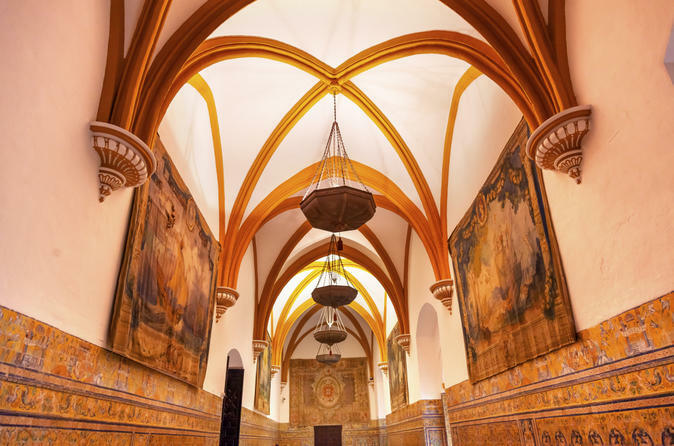 Stand in awe of the world’s largest cathedral, containing the tomb of Christopher Columbus, and admire the jaw-dropping Moorish architecture of the Royal Alcazar, today the palace of Spanish kings. End with a picturesque walk through Santa Cruz, Seville’s whitewashed, cobblestoned Jewish quarter. Enjoy personalized attention and informative commentary from your knowledgable guide. 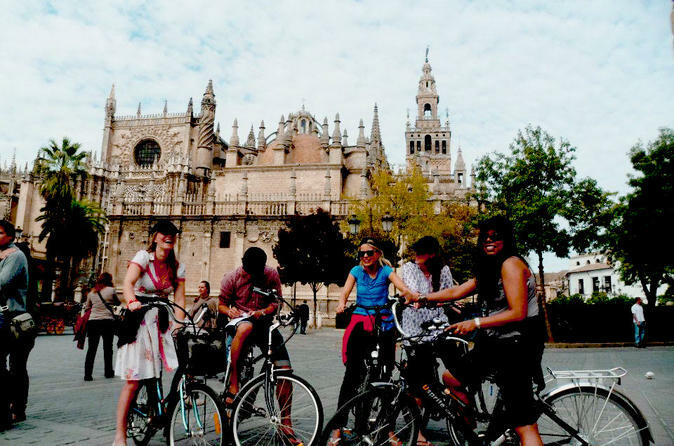 Get to know Seville on a gently paced 2.5-hour bike tour, led by an expert local guide. With plenty of stops on route to take photos, soak up the sights and hear tales of city history, your tour offers the perfect introduction to Seville! See top attractions like the University of Seville and explore Plaza España in Maria Luisa Park. 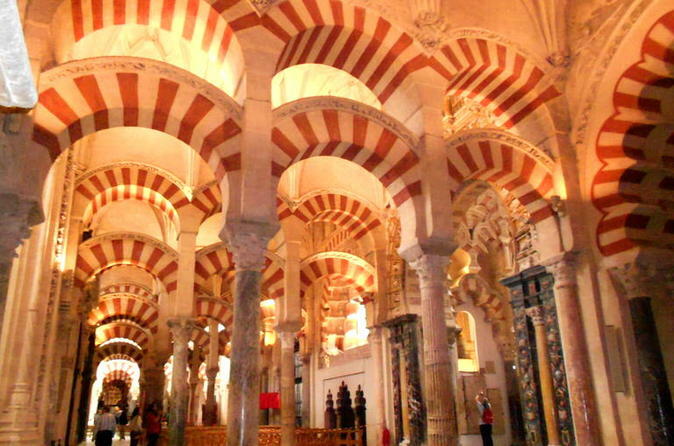 Leave the cruise port at Cadiz and spend a day in the Andalucian city of Seville! The full-day shore excursion includes a walking tour around the must-see neighborhood of Santa Cruz, a trip to the General Archive of the Indies, and viewing of Seville Cathedral and Royal Alcazar Palace (Reales Alcázares) — two UNESCO World Heritage sites. Skip the lines outside the palace with a priority-access entrance ticket, and admire its extravagant architecture before enjoying some free time. 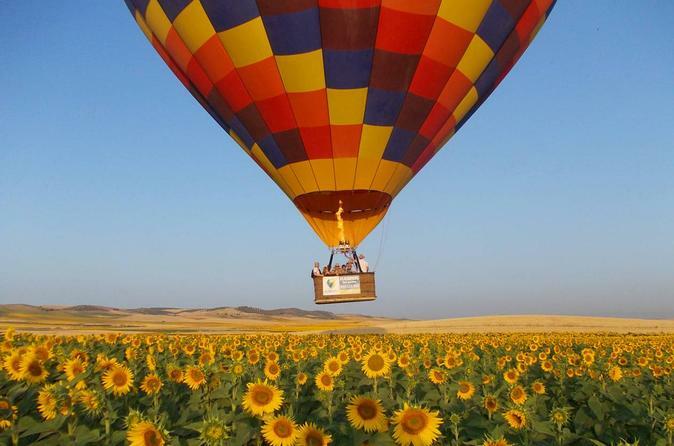 Enjoy personalized attention from your guide on this small-group tour, limited to 18 people. 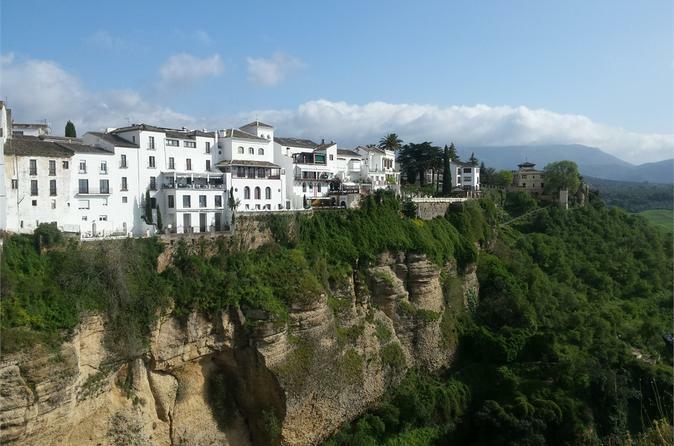 Discover the white villages of Andalucia, visiting Zahara de la Sierra, Grazalema and Ronda, join this tour where you will enjoy beautiful towns and stunning landscapes around one of the most beautiful natural parks in southern Spain. 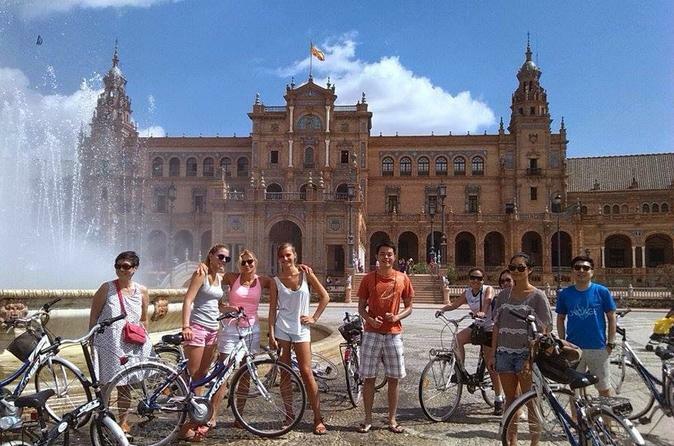 Book this 3-hour bike tour and make the most of your visit to Seville cycling through the city's most popular areas and landmarks.